Simon Says Fun with Felt! Thank you for joining us for our Flowers Challenge and we hope you will join in with our new theme! We will be back soon with the names of the lucky winner of the $50 Voucher. 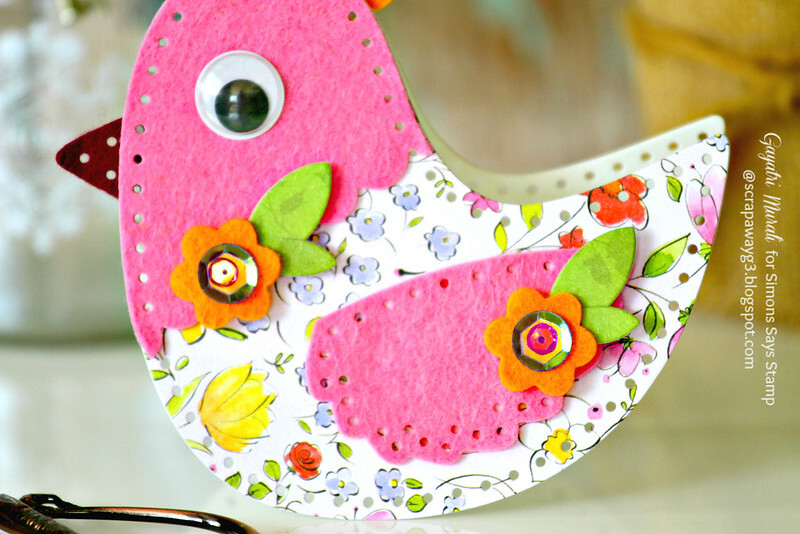 We are showcasing our very own Simon Says Stamp ‘Spring Plush Release’ Products this week. You don’t have to use them to join in with the challenge, but if you have them we would love to see them used! Here is my take on the felt challenge. 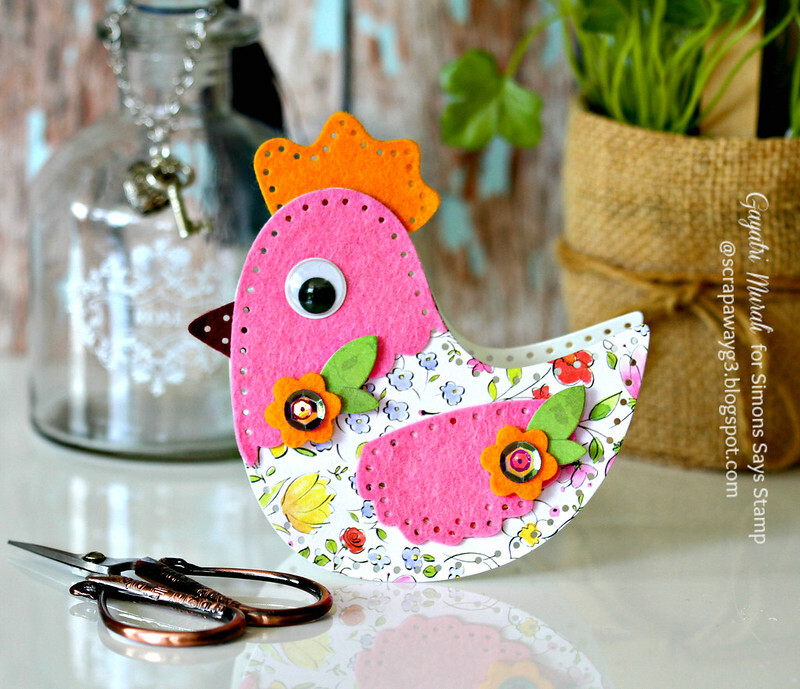 I have used Springtime Chicken dies from Simon Says Stamp Spring Plush release to make my card. I die cut the card front, the card back, then another card front using pattern paper. I then used pink and burgundy felt from Lipstick Party felt set to die cut the top part of the chicken and the wings. Then the button flowers and crest using the yellow felt from Caribbean Spices felt set . The leaves are die cut using pattern paper. 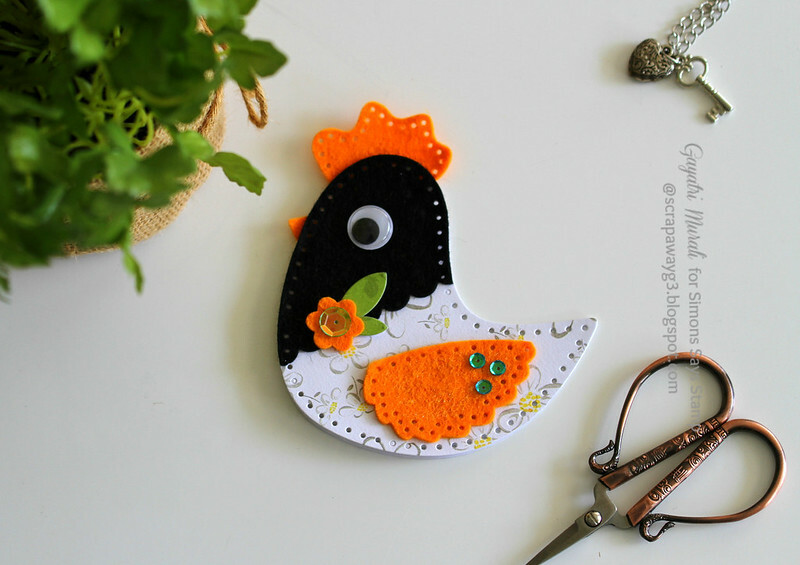 I then assembled the pieces to make a cute chicken card. 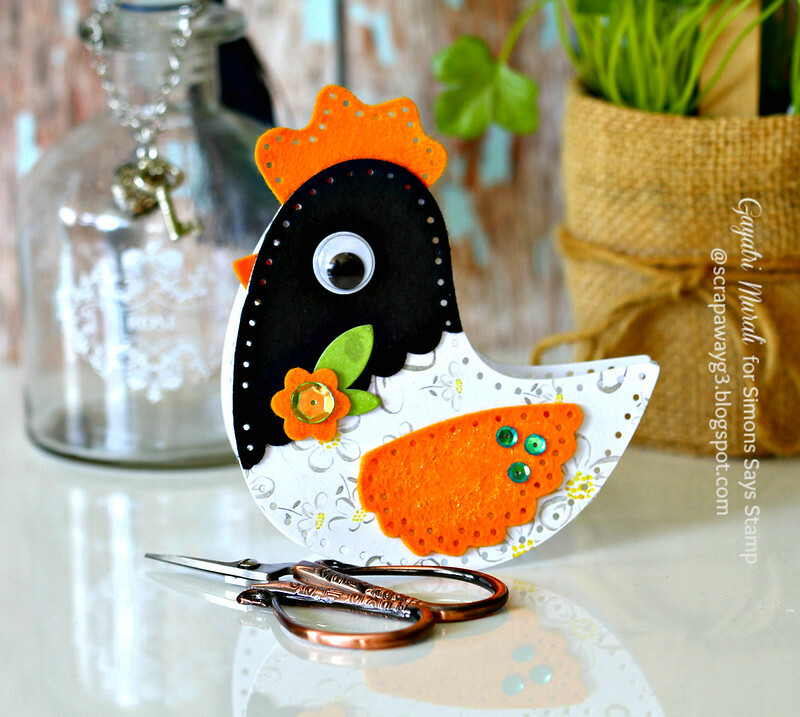 I added some sequins from Simon Says Stamp May card kit. I loved it so much that I made another one. I changed the pattern paper, colour of felt and just one flower . I love the use of googly eyes on the chickens. Both together makes a cute set. 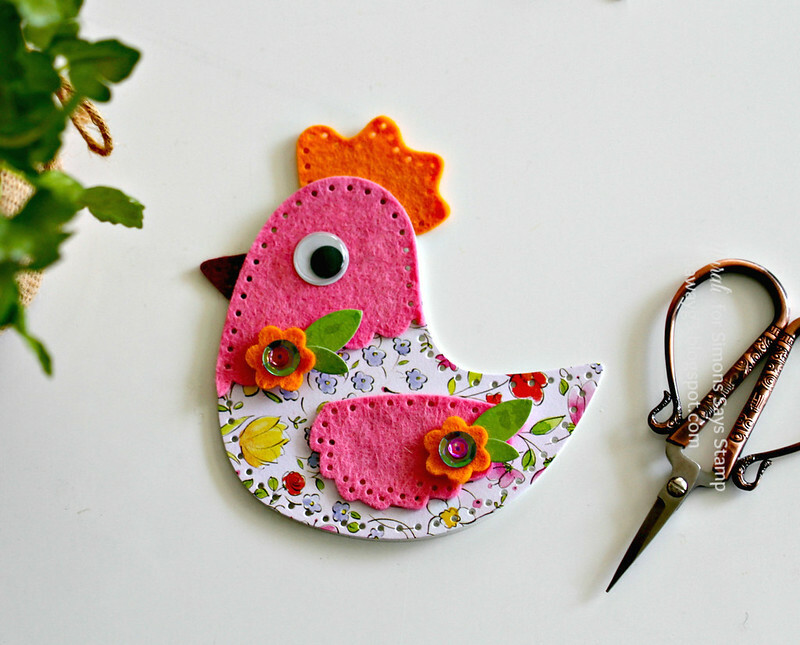 An adorable sweet image Gayatri,beautifully created with super details!! So super fun, Gayatri! I love the bright POP of orange in each!